Tick-or-Treat!! 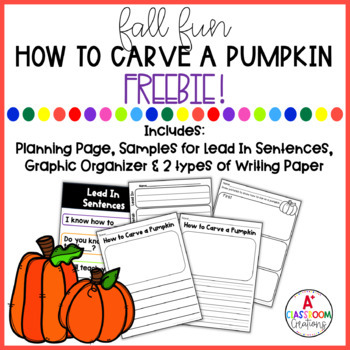 This is a fun fall writing activity for primary grades! 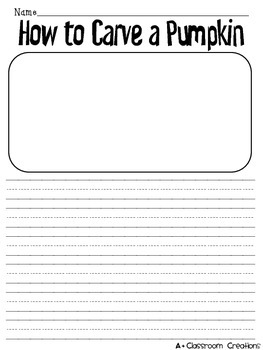 This pack contains the sheets your students will need to complete a “how to” writing assignment. 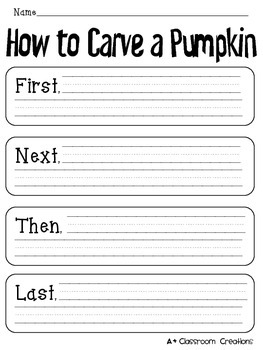 The students will brainstorm and plan how he or she would carve a pumpkin, organize the writing using transition words (First, Next, Then and Last), and write a final copy. 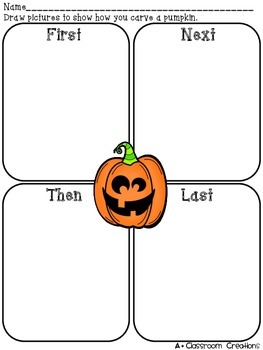 You may hang the finished product in the hallway or create a class book.